Cap-Net would like to announce and launch new training materials. They are ‘2nd Edition Drought Risk Reduction in IWRM’ and ‘Integration of Groundwater Management: Into Transboundary Basin Organizations in Africa’. 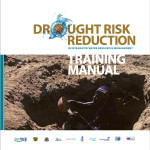 The ‘2nd Edition Drought Risk Management in IWRM’ includes a facilitator’s guide and full training manual which can be downloaded via this link. This manual is intended primarily for trainers and facilitators, practitioners, and water and natural resources managers, and is aimed at strengthening the capacity to anticipate and reduce the impact of drought through enhancing knowledge and skills for drought risk reduction practices as an integral part of the development process at community, national, sub-regional and regional levels. Currently this manual is only available in English language. For higher resolution training manual (20mb), please contact info@cap-net.org. Changes in water management policies and practices over the last two decades have had far reaching consequences for how the use of water is being regulated. It is recognised that water allocation systems and water pollution controls should be implemented and be effective, preferably using principles of user or polluter pays. It is also recognised that stakeholders should play a meaningful role in water management decisions as they are often greatly impacted by poor resource management. To make this improved integrated water resource management effective, water management institutions are also being reformed. This scale of change invariably requires changes to the laws governing water in the country. Countries engage in legal reform or the development of a new National Water Act to ensure that a legal framework is created that enables the policies and objectives to be achieved. The impacts are therefore far reaching and legal reform needs careful consideration. This training manual introduces various aspects of water law and is suitable for middle and senior level water managers. It will help to understand how water law is made and how various principles can be incorporated into law. 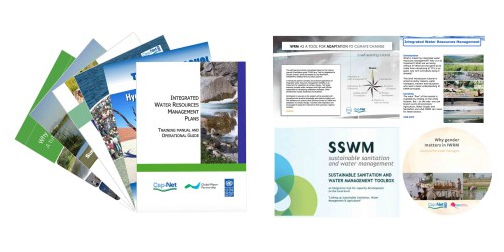 The manual is suitable for short courses or as an input to educational programmes on water management. The manual provides links to good resource materials and also a guide to facilitators who may be involved in training using these materials. All the materials are available in English, French, Spanish, Portuguese. version, which was subsequently translated into French and Portuguese. The revised version has since been implemented in various countries in Africa and Asia. In 1998 the World Health Organization (WHO) and the IRC decided to update the package. The present version is therefore the result of seven years of work and experience worldwide. It incorporates recent developments and the latest findings and methodologies, which will help to improve the management of operation and maintenance (O&M) of rural water supply and sanitation services in developing countries. The training manual is available in English, and can be downloaded below.